Please consider the following information prior to interacting with our website. We are committed to informing you of your rights and the rights held by Compassionate Care Pregnancy Center in relation to your use of this website. We are committed to making your experience safe, secure, and enjoyable. Compassionate Care Pregnancy Center is not responsible for any damages or injuries caused by the use of or access to this website. 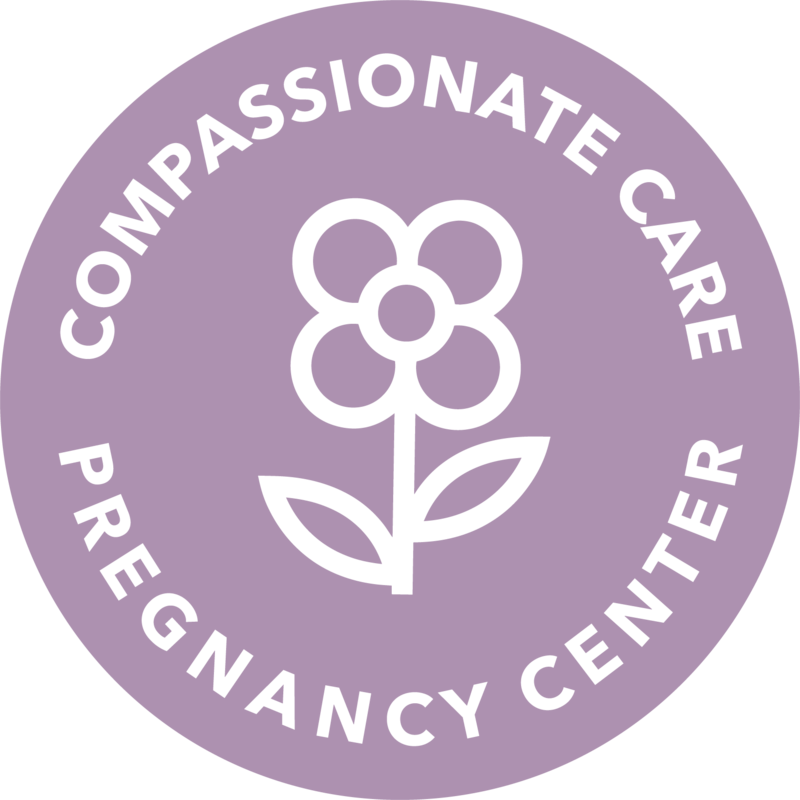 Compassionate Care Pregnancy Center does not guarantee any information, service, or other material provided on or through this website. All contents copyright © Compassionate Care Pregnancy Center. All materials on this website are solely owned and copyrighted by Compassionate Care Pregnancy Center and are protected by U.S. and international copyrights unless otherwise indicated. Compassionate Care Pregnancy Center will never collect personal information without your knowledge during your visit to our website. Any information that is requested will typically be in direct correlation to the services you are requesting. From time to time, Compassionate Care Pregnancy Center may ask for your personal input and suggestions related to your online experience. This information will remain confidential and will allow us to improve and enhance your online user experience. Your provision of personal comments or suggestions will serve as consent to our use of this information to improve user experience. All transactions accomplished through this website are secured using an SSL encryption to protect sensitive data transmissions from your computer to our website. Compassionate Care Pregnancy Center also uses password protection to secure personal information. Compassionate Care Pregnancy Center strictly prohibits and disclaims any and all liability for the use of this website for the communication of illegal, false, pornographic, obscene, threatening, or otherwise offensive remarks, content, or material. We strictly prohibit and are not liable for breaches of confidentiality that make take place within this website. All material, resources, content, and information published, posted or distributed by Compassionate Care Pregnancy Center are designed and intended for general informational purposes only and should not be relied upon as a substitute for the direct counsel of an attorney, professional counselor, or medical professional. You expressly assume the risk of your reliance upon any content or information contained in or accessed through this website. The Compassionate Care Pregnancy Center website features a variety of content on issues related to pregnancy, abortion, human sexuality, sexual health, contraception, abstinence, and other related issues. Such information featured on this website is not intended to substitute for professional medical advice. You are always advised to seek advice from your personal medical physician on issues related to your health. The issues and content discussed in this website are for general audiences only. Your physician is typically best able to evaluate whether or not a specific health suggestion or potential course of treatment is best for you. Compassionate Care Pregnancy Center and its affiliates are not liable for any injury or damages of any kind, whether incidental, consequential, direct, indirect, special, punitive, exemplary, or contractual, that may result from your use of or reliance on any operation, material, content, or other aspect of our website. Compassionate Care Pregnancy Center makes no representations or warranties about the completeness or accuracy of this website’s content or information or other material contained within the website. Compassionate Care Pregnancy Center and its affiliates disclaim all express or implied warranties with regard to information, content, materials, services, products, resources, publications, and other information contained in or accessible through this website, including, without limitation, any implied warranties of merchantability or fitness for a particular purpose. By accessing and using this website, you agree to hold Compassionate Care Pregnancy Center and its affiliates harmless and not responsible for the content distributed by or through this website.